Dr. David L. Mennicke is Professor of Music and Chair of the Concordia University, St. Paul Music Department, where he has been Director of Choral Studies since 1989. Mennicke encourages at Concordia a musical community that nurtures each student from the beginner to the accomplished musician. His teaching expertise covers choral conducting, voice training, music education, church music, musical theatre, and music arranging. 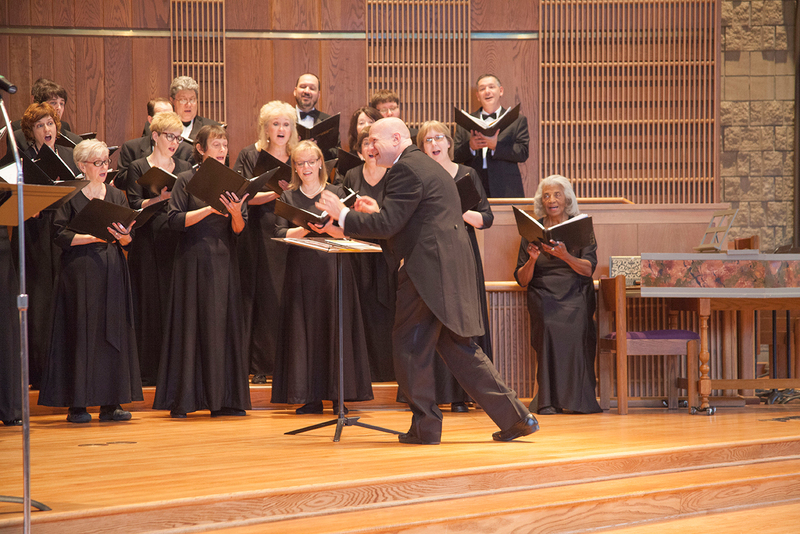 Under his direction, the Concordia University Christus Chorus has performed for the national College Music Society, regional MENC and state ACDA conferences. The Christus Chorus has been invited to perform with the Minnesota Orchestras seven times, and toured throughout the United States and to Africa, Europe, and South Korea. Mennicke is in demand as a guest conductor, clinician, and adjudicator, having served in over 200 festivals, including the Minnesota All-State Children’s and Men’s Choirs. He sang in the Grammy Award-winning Oregon Bach Festival Chorus, and is a tenor section leader with the Minnesota, SPCO, and Beethoven Festival Chorales. His choral anthems, services, music education materials, and articles published by CPH, Morningstar, the Association of Lutheran Church Musicians, Lutheran Forum, and the AGEHR. Mennicke is also an active church musician, directing the Senior, Men’s, and Youth Choirs at Bethlehem Lutheran Church (ELCA) in Minneapolis.